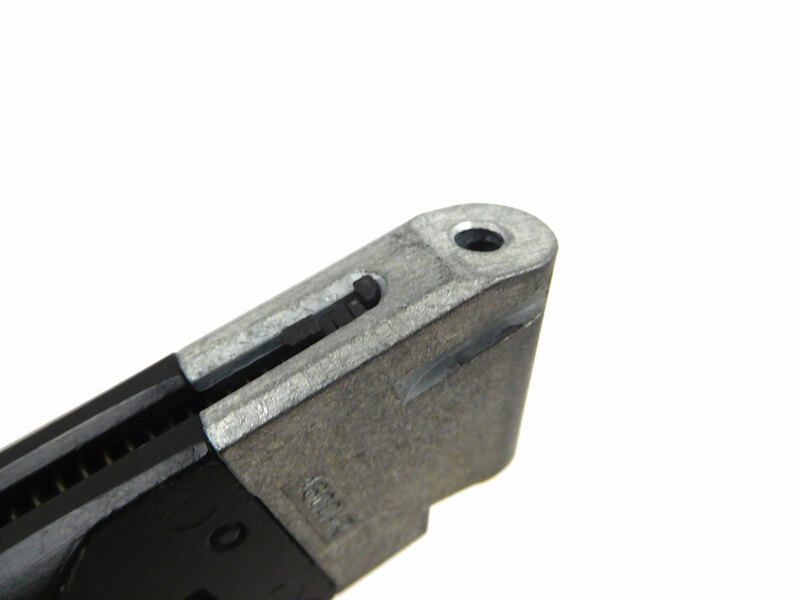 This gun has a broken knob on the BB loader in the clip, and is untested. For that reason it’s being sold “as is” with no returns. The box and manual are included. 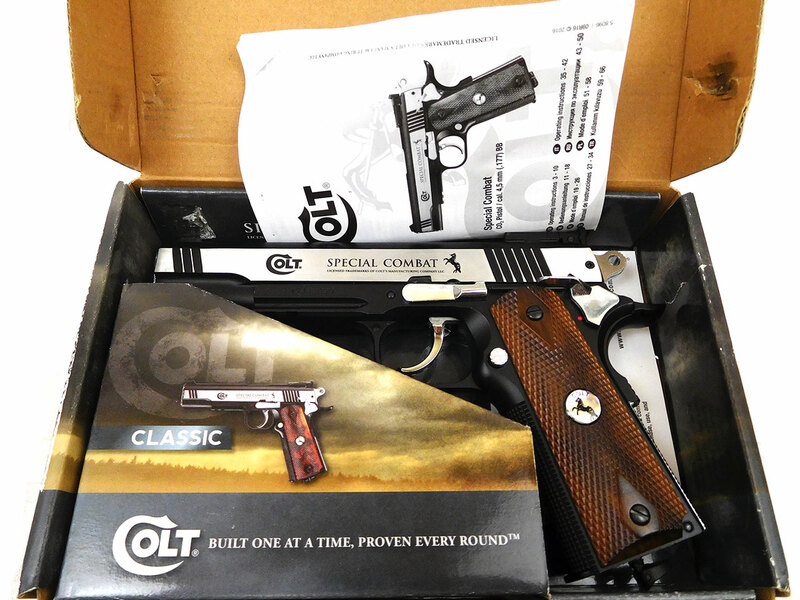 The Colt Combat Special is is great reproduction of the 1911 firearm from Umarex. It’s heavy, and feels good in the hand. This CO2 powered semi-auto pistol features a metal frame with plastic grips, 19 round magazine, fully adjustable rear sights, and weaver rail under the barrel for mounting your favorite tactical accessories. Condition: Vintage - Shoots but sold "AS IS" with no returns.